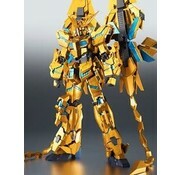 Robot Spirits < Side MS > Unicorn Gundam 03 Phenex (Destroy Mode) (Narrative Ver.) (Completed) by Bandai Hobby. - Unicorn Gundam Unit 3 Fennex (Destroy Mode) Appears Newly! 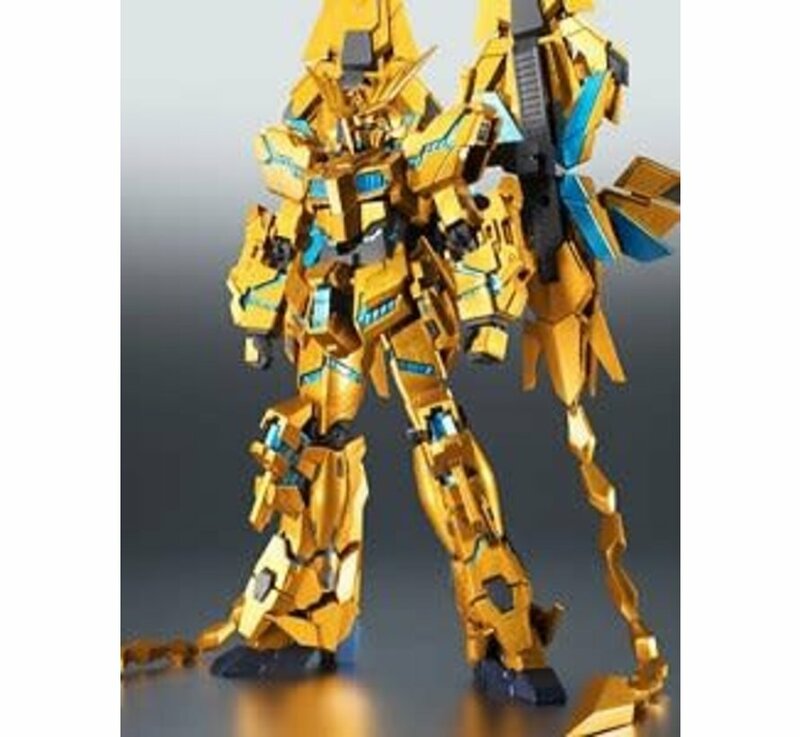 - Unicorn Gundam Unit 3 Fennex (Destroy Mode) appears from [Mobile Suit Gundam NT (Narrative)]. 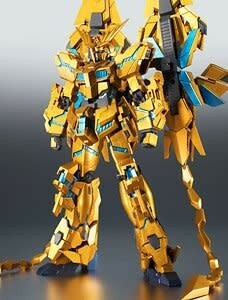 - Arbado Armor DE added a stabilizer like a phoenix wing feather. Stabilizer realizes free movement by loading wire inside. Natural posing like dancing in the air is possible. - Metallic paint of gold and blue is applied to the whole body, psycho frame is coloring which imaged luminescence. A new coloring that imaged Fennex shining beautifully like a phoenix.